As a Texas criminal defense attorney, I handle many DWI cases. These cases are complicated and require a lot of effort and skill to obtain the best outcome. Some are dismissed, some are reduced to lesser charges, some are resolved with no probation, and some (especially DWI 2nd’s or DWI 3rd’s) involve a probation period. During that probation, one of the main problems for my clients is the ignition interlock device. The device will be attached to your vehicle, including work vehicles, and you will need to blow into the device before you will be able to start your car. As your breath passes through the device it will check your alcohol level and verify that it is below a set point before your car will be allowed to start. Every test you take with the device is sent to the DPS and random tests can be requested by the device. Many of these devices are made by Draeger or Smart Start and they have to be calibrated frequently to ensure accuracy. The number one reason my clients violate their DWI probation is without a doubt ignition interlock violations. When Would You Be Required To Use It? As of right now in Texas, if you are convicted of DWI and your blood alcohol level is .15 or higher you will be required to install one of these devices on any vehicle you drive for at least half the term of any probation. If you are on probation for a second DWI, regardless of your BAC, you must have an ignition interlock device installed on any vehicle you drive. Unfortunately, as the offender, you will be required to pay for all costs associated with an ignition interlock device. The cost of the device itself is dependant on the state you live in but on average costs up to $150 for the installation and up $80 per month for device maintenance, monitoring, and calibration. 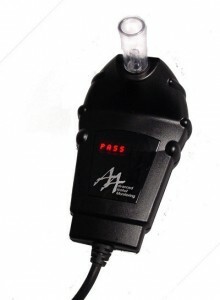 How Long Will You Have To Use An Ignition Interlock Device? In Texas, the amount of time you will be required to use an ignition interlock device is dependant on the judge overhearing your case. Can A Lawyer Prevent You From Having To Use The Ignition Interlock Device? If you are facing a DWI and hope to avoid having an interlock device installed on your vehicle contact the Law Office of Lance Turnbow. In a lot of my cases, I can find a way to avoid the interlock requirement and in many cases avoid probation entirely.